Medieval Morsels: Richard III rides out from the towne of Leicester to defend his crown! Richard III rides out from the towne of Leicester to defend his crown! This weekend 16th and 17th August 2014 sees the re-enactment of the Battle of Bosworth, and my cousin will be one of several hundreds of re-enactors! On the morning of 21st August 1485 the town worthies and people of Leicester turned out to fete their king, Richard III. Richard set out from the Blue Boar Inn to join battle with the usurper to the English throne - Henry Tudor, Earl of Richmond. 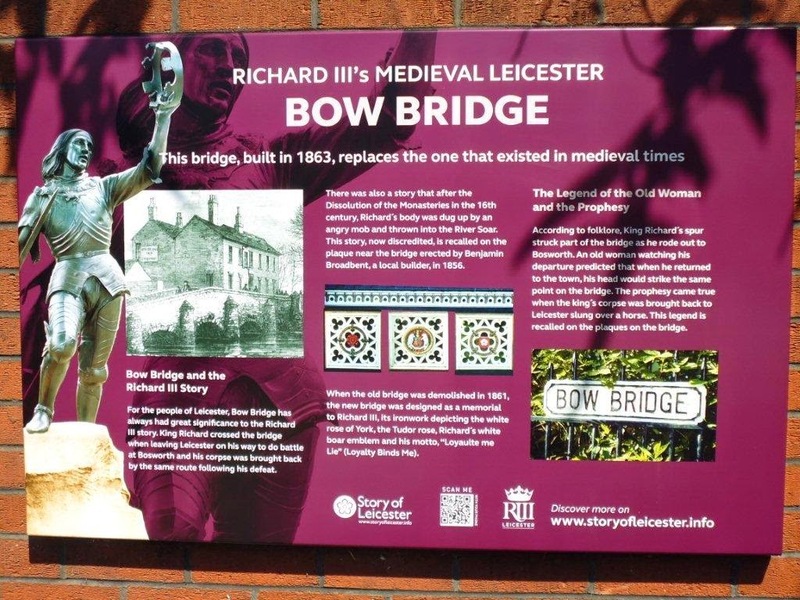 Richard’s supporters, estimated at 12,000 already billeted in and around Leicester and had massed outside that Inn on High Cross Street to follow him over Bow Bridge, out of the town and towards Bosworth Field some miles distant. A seasoned military strategist at age 32 and confident of victory, he rode out behind his personal badge - a white boar. He and the assembled Yorkist army were to spend the eve of battle under canvas, before engaging with the Lancastrian forces. Less than 48 hours later those same town worthies and populace were to turn out once more, this time to pay politically expedient homage to their new monarch Henry Tudor, now Henry VII. And inadvertently to witness the wretched treatment of the body of their former king, the last ever English monarch to be killed leading his army in the field. Henry had returned to Leicester on the evening of 22nd August by the same route, wearing the captured crown. He had Richard’s body displayed for two days before the Greyfriars could retrieve it and hastily bury it in the choir of their church, facing the high altar. 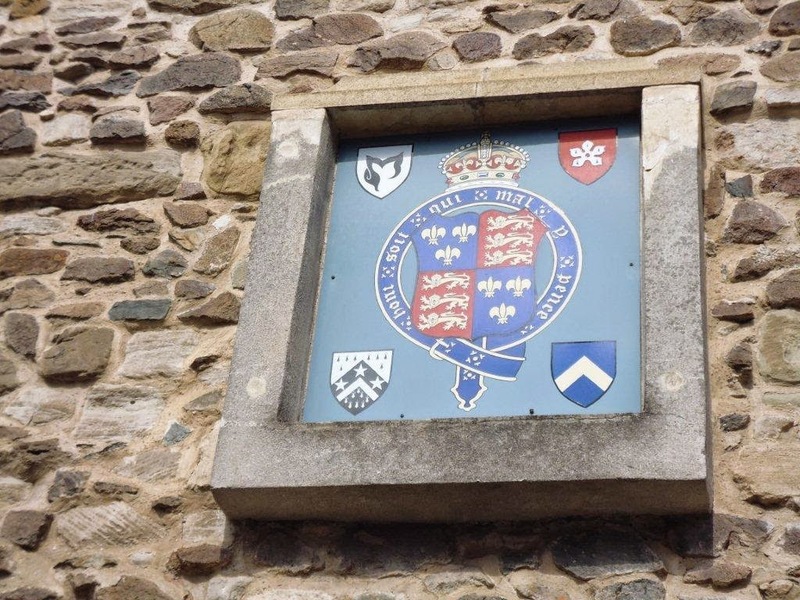 A plaque in the Newarke commemorating the visit of two Kings to Leicester within 48 hours. Note the opposing heraldic emblems Yorkist on the left and Lancastrian on the right. 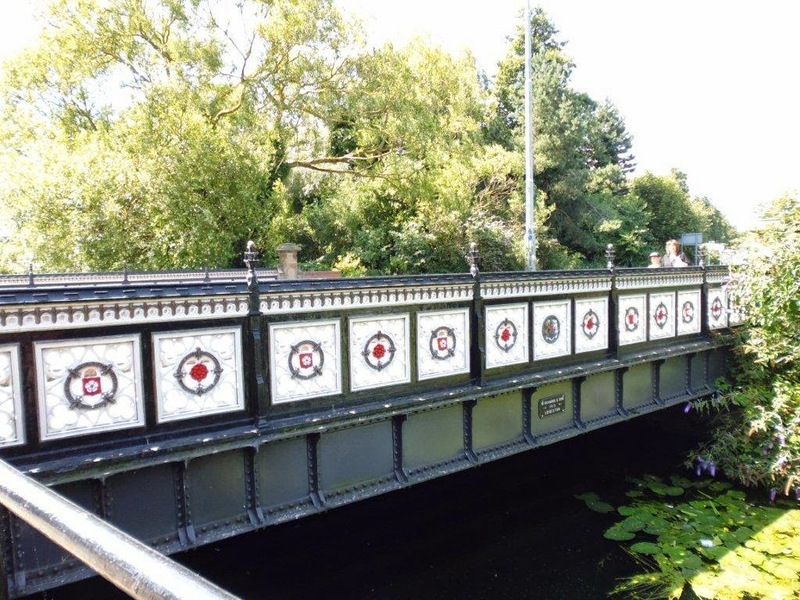 "This is to commemorate the occasions five hundred years ago when the people of Leicester greeted and honoured two kings of England within two days. RICHARD III on his solemn departure from the town on the 21 of August 1485 to do battle for his kingdom and HENRY VII on his arrival in the evening of the 22 of August 1485 from his victorious field near Market Bosworth bringing in his train the body of the vanquished Richard III." The Greyfriars priory church was demolished at the dissolution of the monasteries under Henry VIII and folklore had it that Richard’s disinterred body was thrown into the River Soar. Of course the archeaological excavations by the University of Leicester in 2012 showed this to be nothing more than Tudor propaganda. 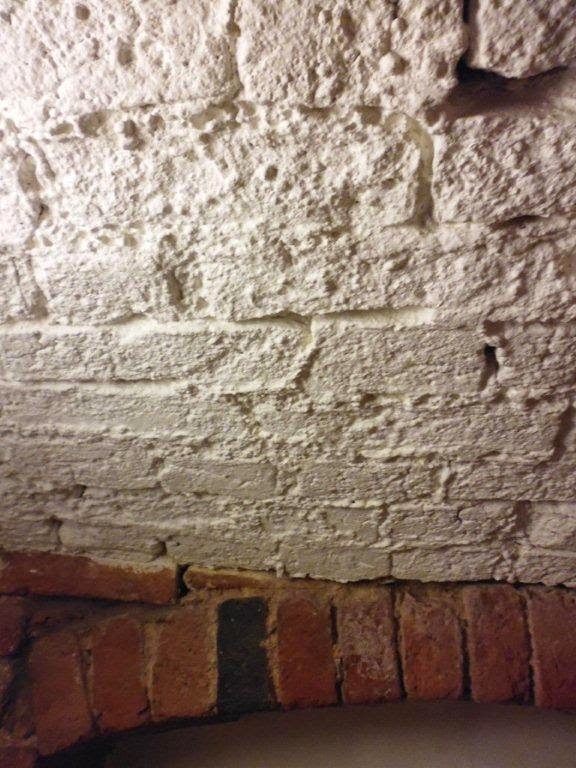 How old are these beams? The Blue Boar does not still survive today. It was demolished in 1836 and a new inn of the same name built 200 yards away on Southgate Street. 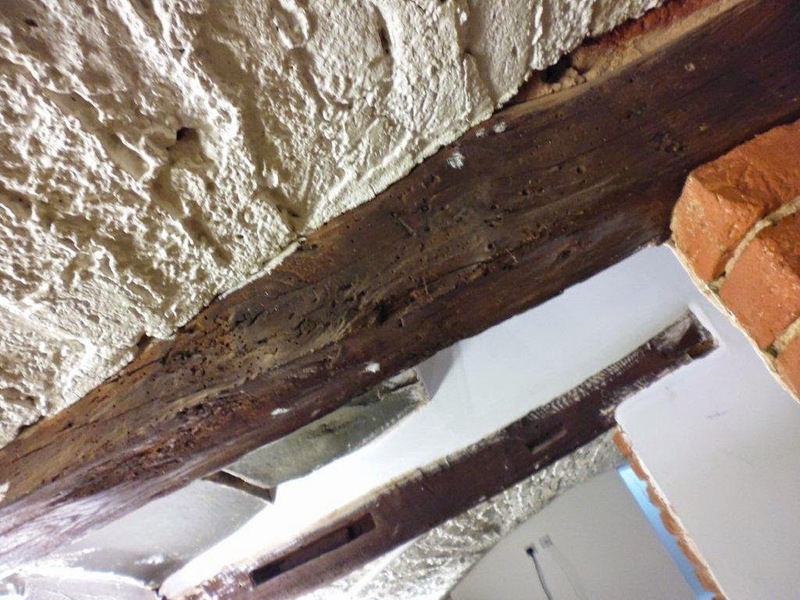 Contemporary engravings of the original do exist but recently the University of Leicester discovered amazingly detailed technical drawings which have allowed an accurate 3D model of the Blue Boar’s timber frame to be made. The site of the original building is now suitably enough a Travelodge. 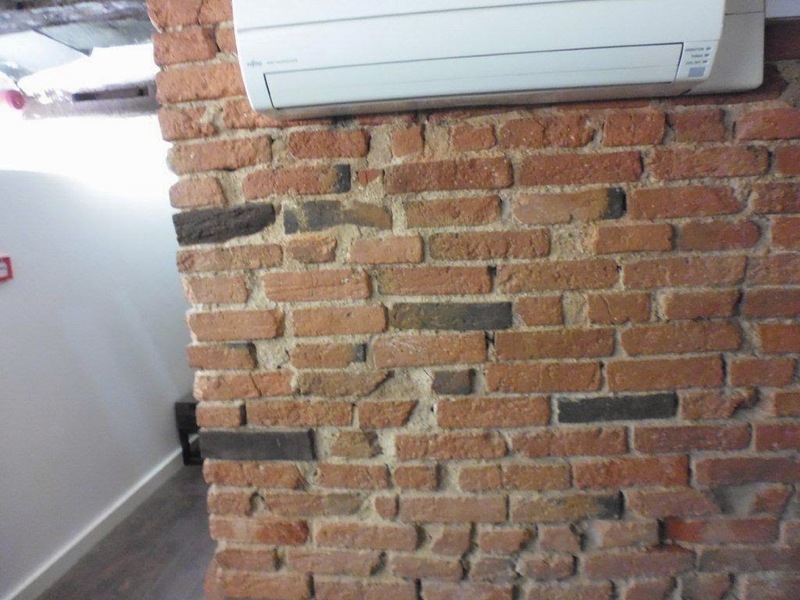 More immediately the basement of the adjacent hairdressers "Danique's" is believed by some to have been part of the inn! See what you think - my sister Dot just happened to have her hair cut there and managed, in a cramped space, to take these photographs! 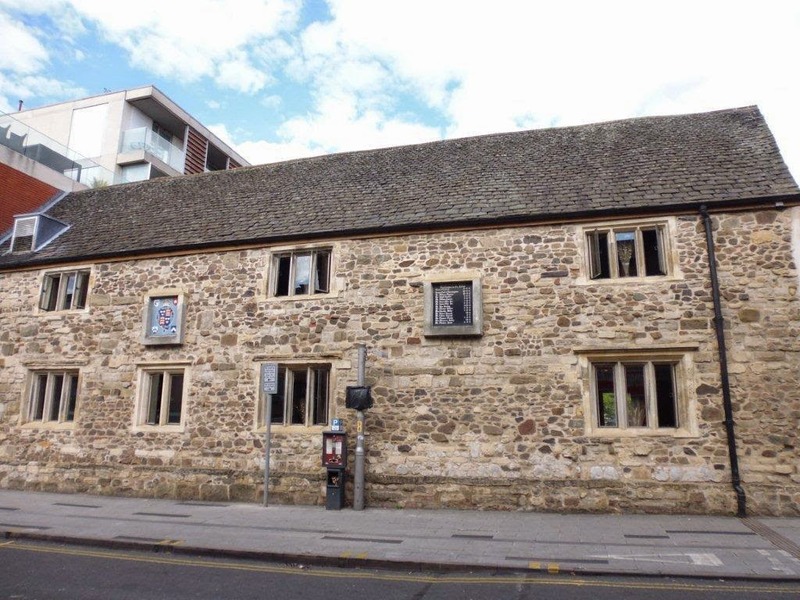 The impressive Blue Boar was perhaps an “odd” choice for Richard to stay because Leicester Castle would have provided suitable accommodation for the king and his immediate entourage. He had stayed at the Castle just two years previously. One thought that occurs to me is that perhaps it was already overcrowded with billeted troops waiting for Richard to arrive from Nottingham Castle, from where incidentally - as was common practice - the baggage carts brought his personal four poster bed. Amongst those City worthies seeing off their king would have been one William Wyggeston, son of the Mayor and aged 18. 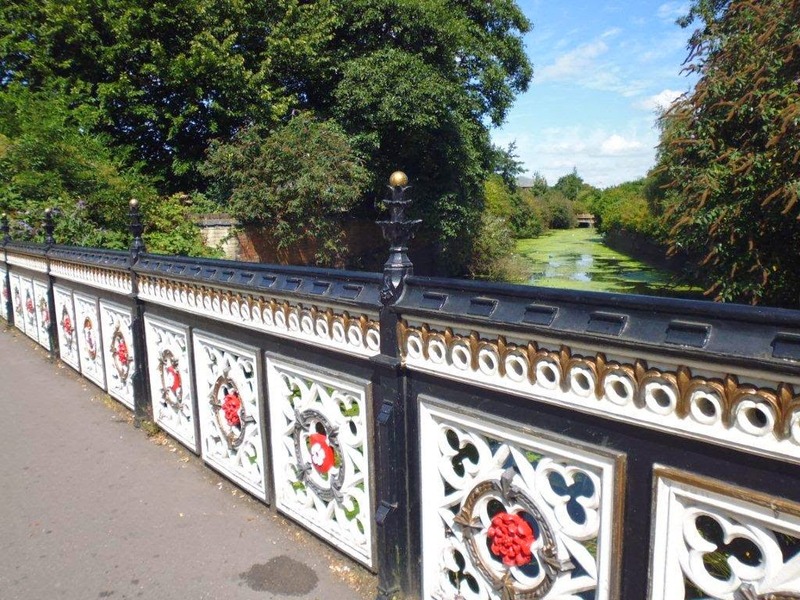 Female and younger members of the important Wyggeston family probably stood at the stained glass windows of William’s uncle Roger Wygston’s house which directly overlooked the route Richard took from Highcross Street to Bow Bridge, spanning the River Soar nearby. Today’s city worthies have commissioned landscaping of a large square in front of Wygston's House meaning that soon visitors to the Richard III walking trail will be able imagine standing in the shoes of those ancient town worthies, guildsmen and common peasants lining his well documented and fateful route out of Leicester that morning. Not so very many years later William himself was several times Mayor of Leicester and Calais, a British possession in France and key to England’s lucrative wool and other trades with Europe. 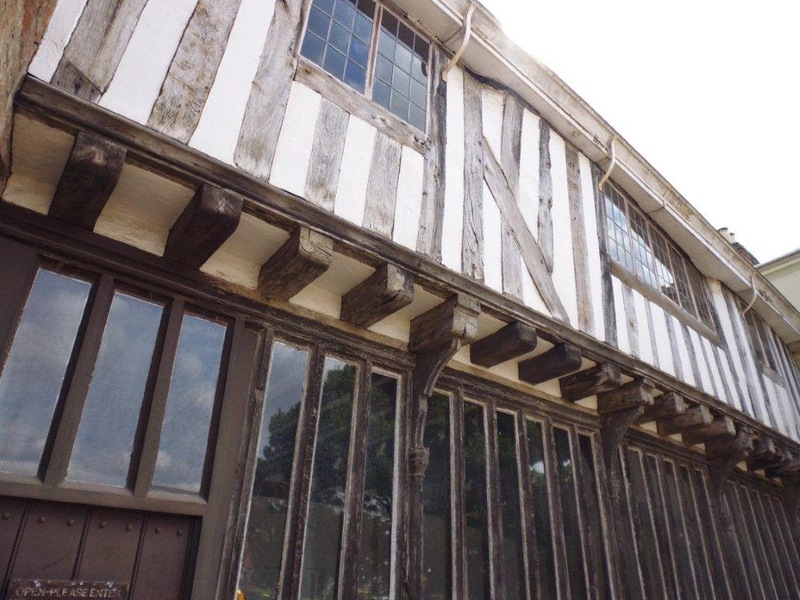 Wyggeston’s will of 1536 led to the founding of a Free Grammar School in St Peter’s church. A purpose built school followed in 1574 on High Cross Street opposite the Blue Boar Inn and still stands to this day, one of Leicester’s finest and most ancient buildings, now used as a restaurant. Now it happens that my father and three uncles earned county scholarships between the 1920s to 1940s to study at a school still bearing this wealthy medieval merchant’s name. But first, a further re-incarnation as Wyggeston Hospitals Boys' Schools in 1877, before Wyggeston Grammar School was built on an out of town in 1921 - the school attended by my father! William Wyggeston's benevolence accorded with medieval church belief that such acts of charity would speed the departed soul's progress through purgatory onward to heaven. Whatever truth lies in that Wyggeston's pious act had an indirect impact on my family’s education! 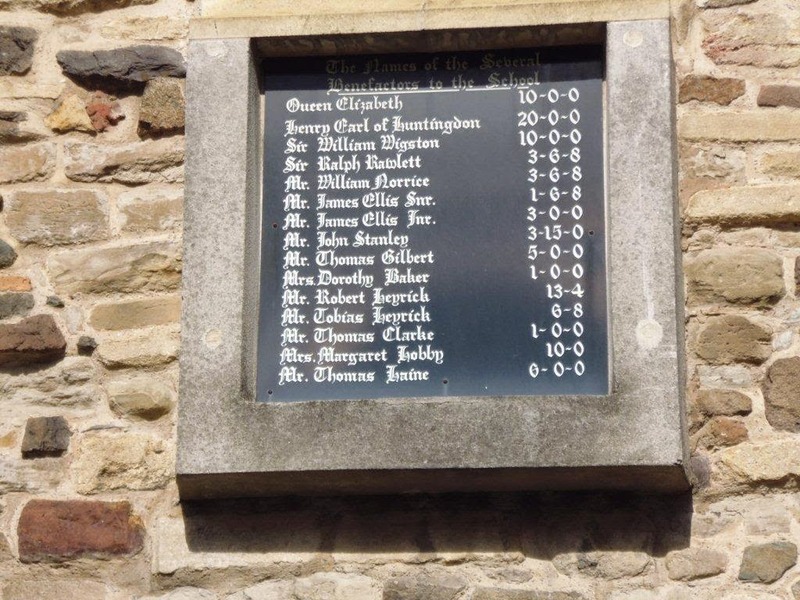 Even now, William’s name is still carried by Wyggeston & Queen Elizabeth I College for boys. And my one remaining uncle alive today has recently set up a mathematics bursary for boys of that very college jointly in his and his three brothers' names (Thornton). There is a lovely symmetry to all of this isn't there? But what might you have eaten on the eve of battle in the Yorkist (Plantagenet) or the Lancastrian (Tudor) military camp? Well it would have been quite easy for the camp kitchen to carry small (or even large) spits which would be placed around the campfire. And pigs are so fertile that there could have been little problem in sourcing young piglets or “shoats” for the spit, just like this medieval/Tudor dollhouse miniature food modelled at one inch scale by MedievalMorsels. And certainly there could have been a pot of meat stew or a rich pottage for the noble elite. But more likely pottage based on plenty of peas or beans and cereal but little meat for the massed army of commoners- pikesmen, longbow men and the like, paid to fight for their noble Lords’ cause whether Plantagenet or Tudor.